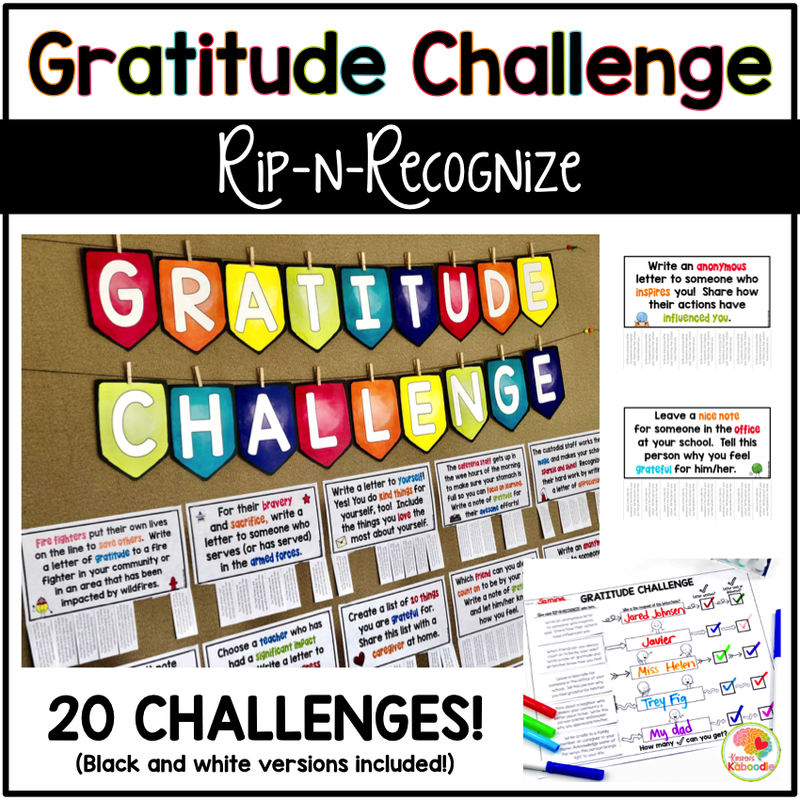 This gratitude activity is perfect for any time of year, but is particularly timely for Thanksgiving and/or December holidays. It can be used for any grade level. Research shows that expressing gratitude has a positive effect on mood, peer relationships, and an overall higher quality of life. 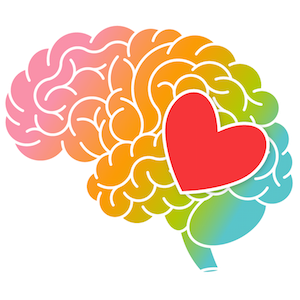 Gratitude ignites the parasympathetic nervous system, which leads to feelings of calmness. Expressing gratitude releases dopamine and serotonin, which also results in a more pleasurable state of mind. 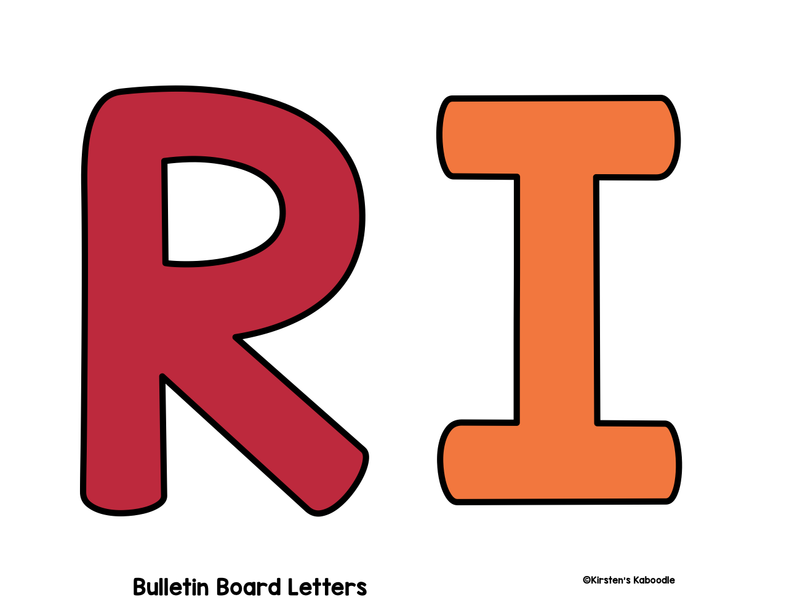 This file contains bulletin board letters that spell “GRATITUDE CHALLENGE” as well as letter to spell “RIP-N-RECOGNIZE” (these are optional for the bulletin board), 20 RIP-N-RECOGNIZE Gratitude Challenge posters in full color and black and white, teacher tips, a gratitude challenge points page, and letter writing templates. 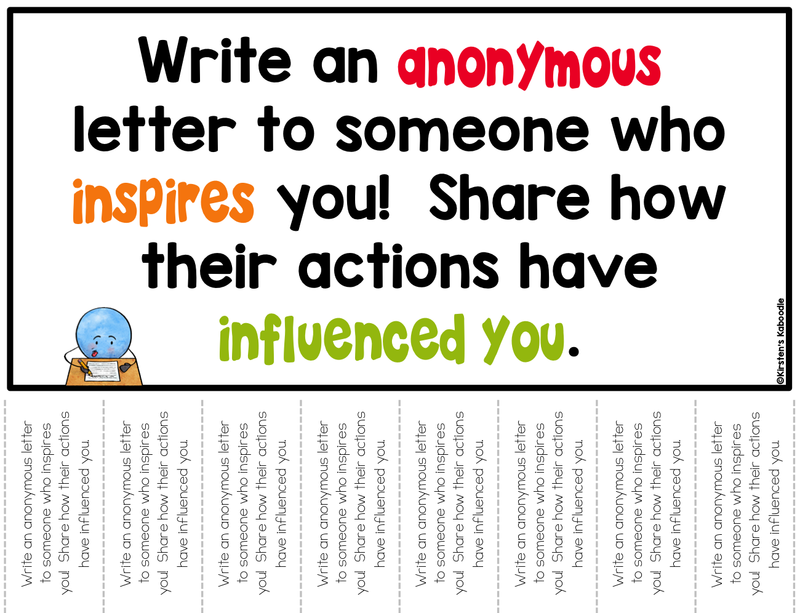 Use these posters on a bulletin board, classroom display, counseling office, or common area in your school. Set a goal for students to reach, but issue a “challenge” for students to go above and beyond the recommended goal. Each challenge (poster) is worth TWO points. 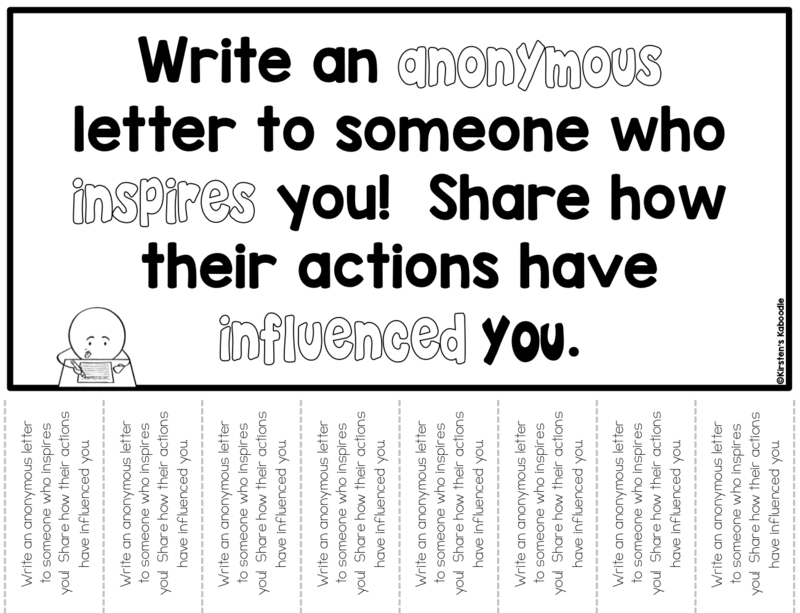 Students get one point for writing the letter and an additional point for sending or delivering the letter/note. Some posters DO REQUIRE students to research an address. NOTE: The second point on any given challenge CANNOT be earned until the letter is dropped off at the post office or delivered in person. You will find a challenge sheet for students to keep track of their points. You can structure the challenge in whatever way works best for your class. You can ask students to RIP-N-RECOGNIZE as an early finisher activity, a bell ringer activity, for a gratitude exercise in Social Studies, or as a writing activity during your ELA block. You may choose NOT to use the points as an incentive and instead teach students that expressing gratitude is an inherently rewarding experience all by itself. Each challenge sheet has enough space for 5 challenges. 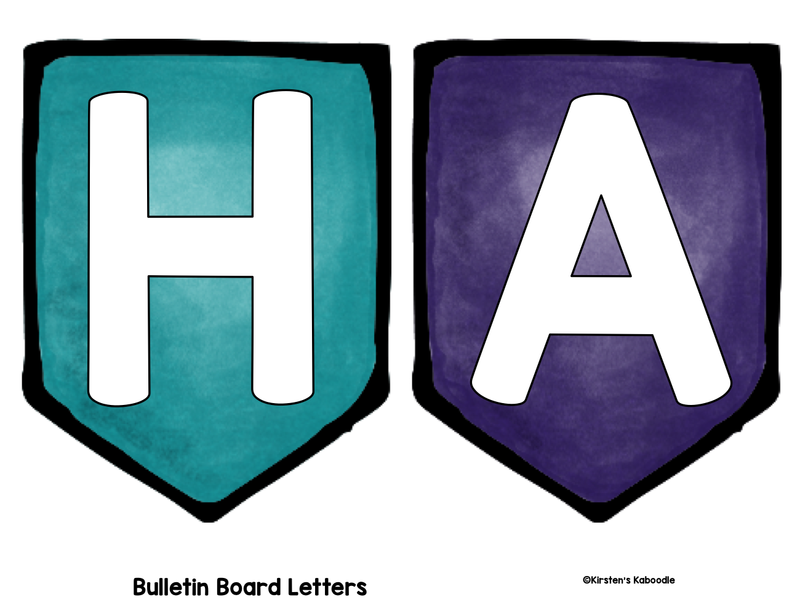 Simply offer copies of the same sheet for students who complete more than 5 letters/notes. It is best for students to rip ONE CHALLENGE AT A TIME. Their next challenge can’t be “ripped” until they finish the first challenge they chose. This will eliminate issues with students ripping too many challenges at a time, losing the little ripped notes, and “biting off more than they can chew”. There are 20 challenge options for students. Some challenges might not work for some students. Honor and respect a student’s choice NOT to do challenges that don’t work for their life circumstances. For example, you might have students who don’t know any other family members outside their immediate home, students who are in a foster situation, or students who are homeless. Requiring students to complete ALL the challenges will surely put some students in a vulnerable position and that is not the goal of this activity. Thank you for taking the time to check out this gratitude challenge. Please direct questions to me PRIOR to purchasing this product. This file contains 86 pages.